Want to be seen as a leader? 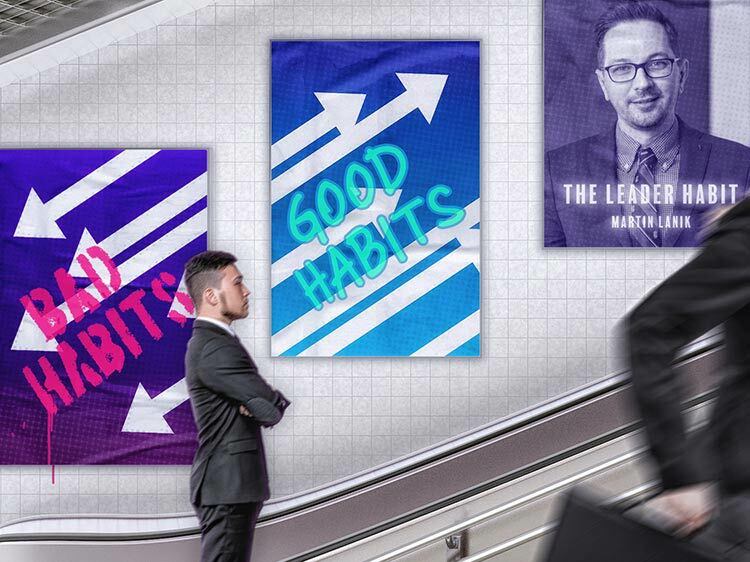 ‘The Leader Habit’ author Martin Lanik says you should spend five minutes every day practicing these routines. Develop habits to become a good leader. You’ve come up with fresh ideas, mentored new employees, worked on major projects (and maybe even led them), and sat through more than one leadership training course. Yet, despite having done all the “right” stuff, you keep getting passed over when promotions are handed out. What gives? Maybe you need to form some new habits. Instead, he says, “What works is deliberate repetition of new behavior, practicing it in real life until it becomes automatic.” Based on a Pinsight study of 800 global leaders, The Leader Habit identifies 22 specific abilities all of these leaders share, which include selling their vision, empowering others, overcoming resistance, building strategic relationships, focusing on customers, delegating, innovating, and negotiating. The book then provides five-minute exercises that, when repeated daily, will form those habits. Monster recently spoke with Lanik about how practicing leadership skills can lead to your next promotion or a better opportunity elsewhere. Q. The possibility of forming better habits in a few minutes a day sounds too good to be true. Could you give us an example or two? A. Sure! Let’s take the ability to innovate, which, of course, is in tremendous demand among leaders now. The key to innovation is a knack for seeing connections between things that seem unrelated or that may even, on the surface, look like opposites. So, the ability to connect is a habit you want to develop. How? Listen for the word “but.” Someone on your team might say, for instance, “Most customers love our product, but a few of them tell us they absolutely hate it.” What’s the connection there? It’s that customers seem to have a strong emotional reaction to the product—pro or con. That is something you can build on. Or, take another essential skill: the ability to delegate. Before handing over a task to someone, good leaders always consider that person’s interest: Do they want to do it? Find out in a quick chat or email. This is a five-minute exercise that can make a huge difference. Is the person motivated to do a good job? If you have reservations about their commitment, either find someone else or recast the task in some way. The point is to train yourself to think about who will do the best job and why. Q. If most of our day-to-day behavior is based on habit, does that mean we pick up bad habits from colleagues and bosses? A. Absolutely. It’s very common, especially in combative, corporate cultures, for people to slip into negative patterns of behavior because of what’s going on around them. In fact, if human behavior wasn’t mostly automatic, there would be no bad bosses. No one wakes up in the morning and says, “Today, I’m going to be arrogant and ruthless.” Yet, since we are so often acting unconsciously, that is what happens. Q. Your book goes into detail about how to identify which new habits we need to work on, but are we always the best judge of that? A. Often we’re not because we usually have blind spots about ourselves. In fact, when someone is repeatedly getting passed over for promotion, despite doing all the “right” things, it’s usually because of one bad habit that is holding him or her back. That’s the one thing that needs to change. The way around this is to ask others for honest feedback and pay close attention to your reaction to it. Whatever makes you the most defensive is probably your blind spot—like the client I describe in the book who wasn’t getting promoted because she didn’t listen well and habitually argued with everyone. When we told her that, she argued instead of listening! But the good news is, replacing one negative habit with a better one usually makes you a stronger leader in other respects, too. It has a cascading effect, so you develop a whole range of new habits. It’s kind of like the way people often join a gym after they quit smoking. Starting with one behavior change, and consciously practicing it every day for a couple of months, can lead to a total transformation. Whether you love your current job or absolutely hate it, it’s always a good habit to keep your ears and eyes open to new opportunities. How can you get in the habit of doing this (in five minutes or less)? A great first step is to join Monster. As a member, you’ll get job alerts as well as practical career advice to help you better manage your career. This way, when a better opportunity surfaces, you’ll be ready to rise up the ranks. Anne Fisher has been writing about career and workplace trends and topics since 1996. She is the author of If My Career’s on the Fast Track, Where Do I Get a Road Map?